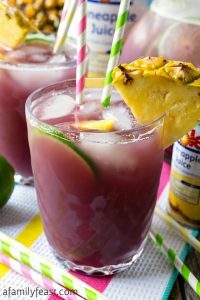 After a long week of work, blogging, school, and other activities – we love to unwind and reconnect as a family with a fun and relaxing Family Night at home. Just us, a good movie on DVD, and (of course) some delicious foods to nibble on! ‘Quick & Easy’ is also what we’re looking for – and we’ve found some great recipe inspiration over on the Hidden Valley® Original Ranch® Pinterest boards where all sorts of delicious ideas are shared using Hidden Valley® Original Ranch® Dressing. 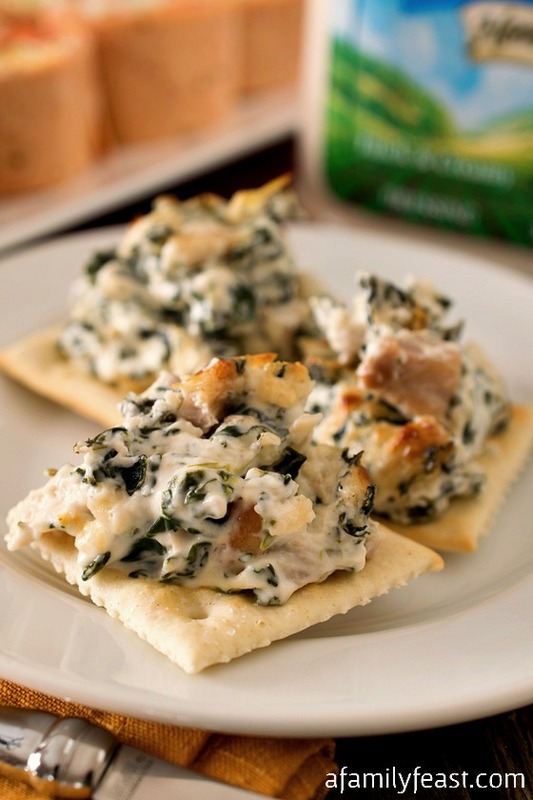 Today we’re sharing two favorite recipes we’ve found: BLT Ranch Rollups and Baked Spinach and Chicken Dip – both inspired by Pinterest! 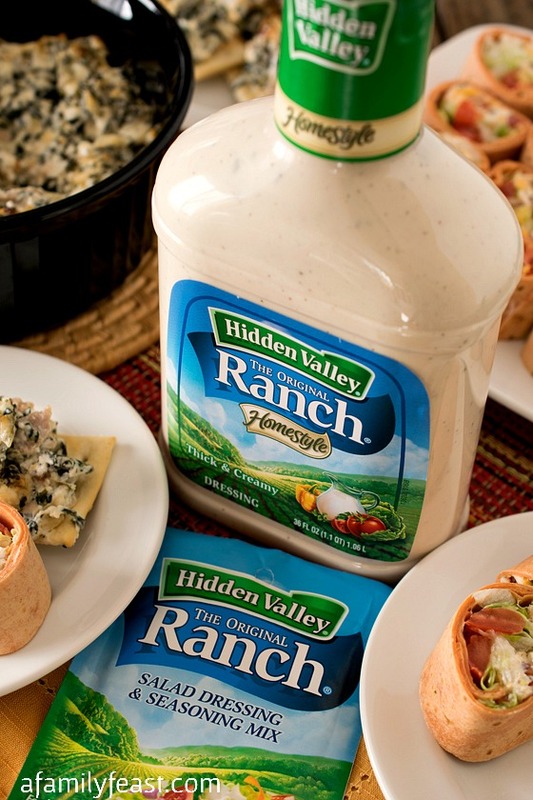 We always have Hidden Valley® Original Ranch® Dressing on hand. (I will also admit here…we’ve actually been known to take a bottle of Hidden Valley® Original Ranch® with us on vacation! Seriously!) It is delicious on salads of course, and our daughter won’t eat her chicken nuggets or her carrot sticks without her beloved Hidden Valley® Original Ranch® Dressing to use as a dipping sauce! 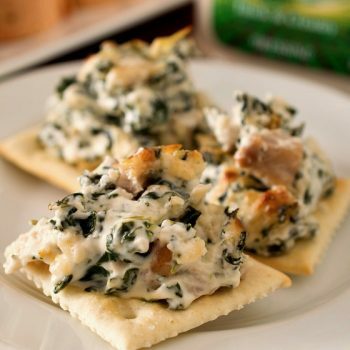 Hidden Valley® Original Ranch® bottled and dry dressings are also very versatile and delicious used as a seasoning in recipes like today’s BLT Ranch Rollups and Baked Spinach and Chicken Dip. 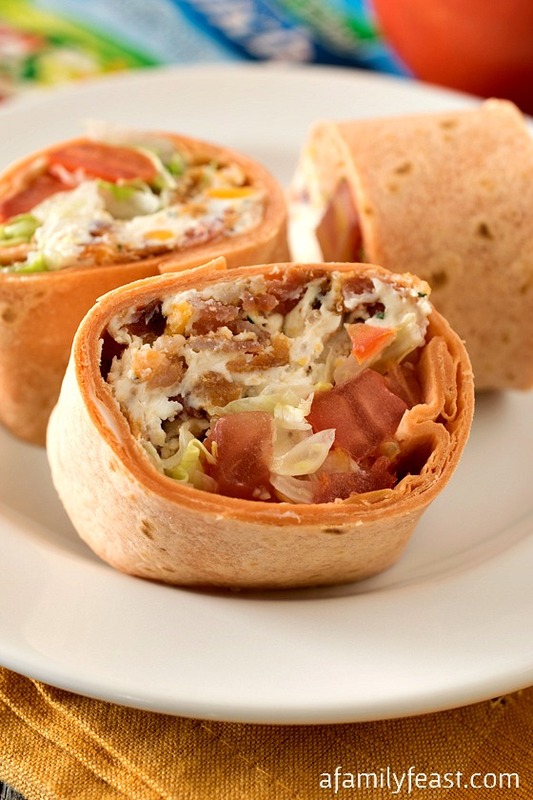 In these Ranch BLT Rollups (adapted from this pin on Hidden Valley’s Game Day Recipes Pinterest Board, cream cheese is seasoned with dry Hidden Valley® Original Ranch® Salad Dressing and Seasoning Mix – giving the traditional trio of bacon, lettuce and tomato an extra-delicious, spiced-up kick of flavor! 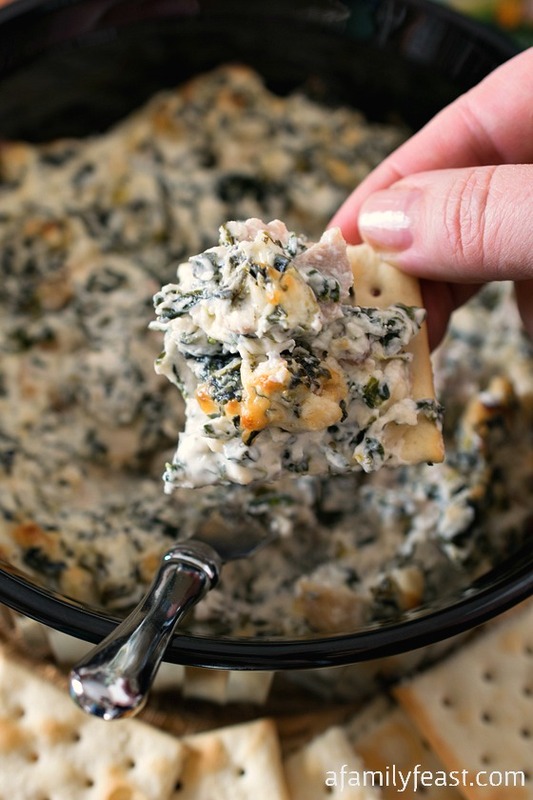 And this Baked Spinach and Chicken Dip is the ultimate creamy comfort food at its best – made even better with a delicious Ranch flavor added to the recipe. 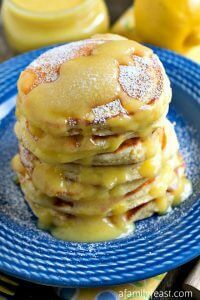 We also found this recipe on Hidden Valley’s Our Most Pinned Recipes Pinterest Board. Follow Hidden Valley® Original Ranch® on Facebook, Twitter, Instagram and Pinterest. And here are those recipes! Core and cut tomato into small cubes and place in a strainer over a bowl. Sprinkle and toss with the salt. Let drain for at least 30 minutes, stirring and pressing against the sides of the strainer often. After 30 minutes, press a few paper towels into the tomatoes to absorb any last liquid. You should have one cup of tomato remaining. Discard liquid. While tomatoes are draining, cook bacon to crisp and chop. Set aside. If you haven’t already, pull cream cheese out to soften and reserve one tablespoon. This will be used to seal rollups. In a medium bowl, mix cream cheese (save one tablespoon aside), 2 tablespoons Hidden Valley® Ranch Dressing and Seasoning Mix, cheddar cheese and chopped bacon to combine. Divide the filling into three and place on three Lavash or tortilla bread making the filling go end to end and spreading it out as thin as possible. Leave an inch or so on the far side and using the one tablespoon of plain cream cheese, spread a thin layer on each. This will help keep them sealed. Divide the lettuce between the three by layering over the spread. Finally divided the tomatoes between the three rollups. Start with the end closest to you and roll a tight roll away from you ending seam down. Wrap each roll tightly with plastic wrap and refrigerate to harden filling for a few hours. Once set, remove plastic and on a cutting board, cut in half and each half in half. Then cut each piece in half to give you eight per roll. You may end up discarding the end pieces which would then yield six per roll. Turn on side with cut facing up and arrange on a serving platter. 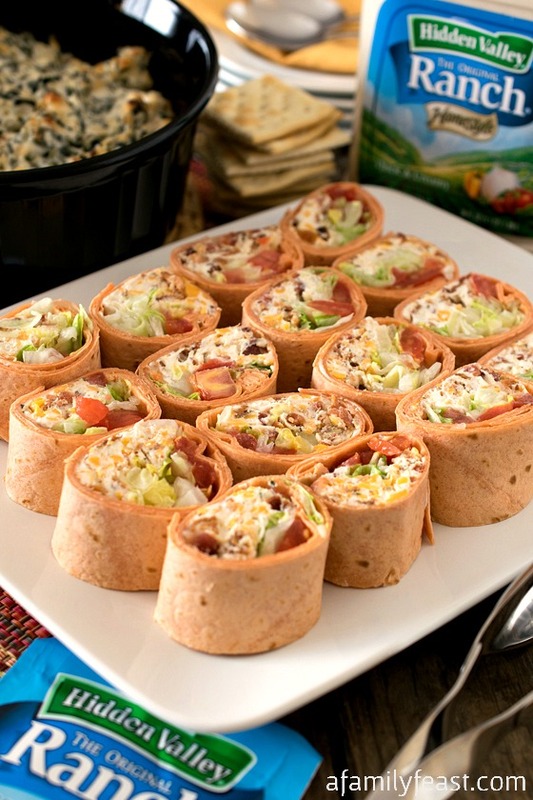 Make Ahead: Prepare the unbaked dip up to 3 days ahead; store covered and refrigerated. Bake prior to serving. In a microwave-safe medium bowl, add cream cheese and Hidden Valley® Original Ranch® Dressing. Microwave on high for 30 seconds or until cream cheese is soft. Stir to combine. Add spinach and parmesan cheese. Mix well. Add chicken and stir gently to combine. Transfer mixture to a baking dish (at least 6 cups). 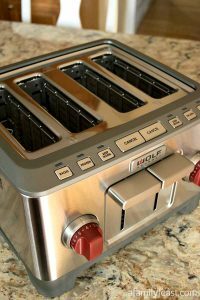 Bake for 20 minutes or until bubbly and golden brown. The internal temperature of the cooked dip should be 165ºF. 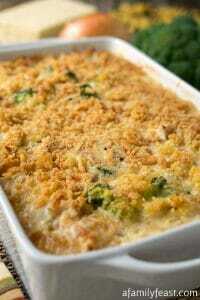 Serve with crackers, bread or veggie sticks. I want to make the Breaded Ranch Chicken!! 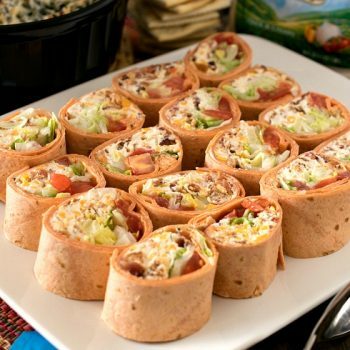 I would like to make the Hidden Valley Ranch Pizza Jalapeno Poppers. I would like to make Brown Rice and Turkey Casserole. I’m a big potato fan so I’d love to make the Hidden Valley Original Ranch Roasted Potatoes. I’d like to make Stuffed Cucumber Bites. Sounds delish. I would love to make the roasted cauliflower with creamy ranch sauce recipe using Hidden Valley Ranch! I’d like to make the Grilled Cumin Rubbed Ribeye recipe. I went to the Pinterest site and I want to try the Hidden Valley Ranch crispy chicken recipe. Your two recipes look delicious! Perfect party foods!! 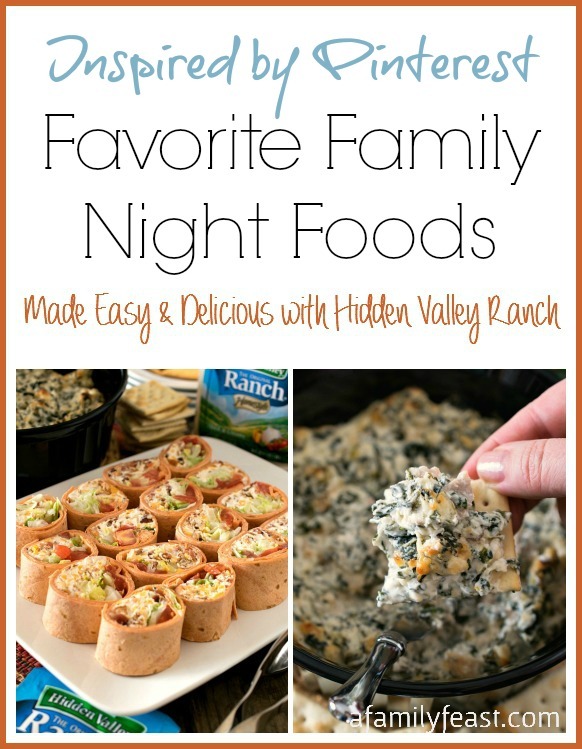 I would love to make the Hidden Valley Oyster Crackers! These crackers are irresistible!! You can’t eat just one, more like by the bowlful! I would like to make the Bacon Ranch Pasta Salad.